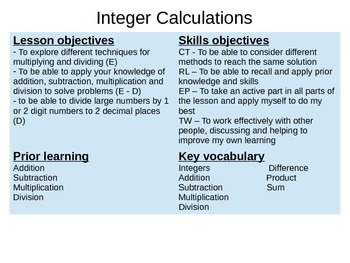 This is a powerpoint lesson which includes differentiated learning objectives and activities with an aim to teach or revise how to add, subtract, multiply and divide any integer whole numbers. 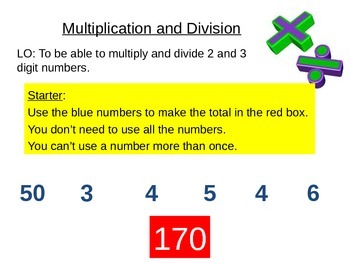 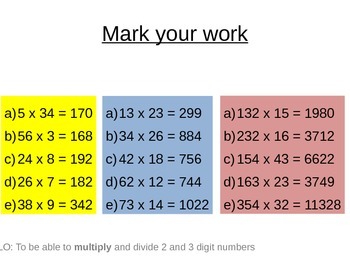 I have used this lesson with students of varying abilities from age 11-16. 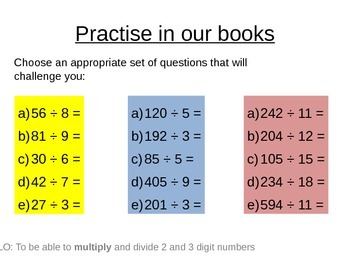 It is a good initial lesson to assess students basic numeracy skills.